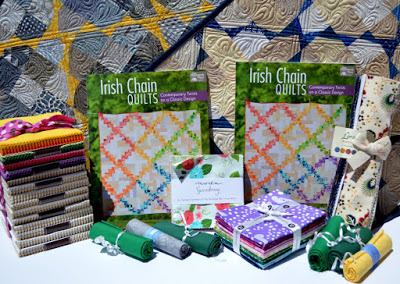 I am thrilled and nervous at the same time to kick off Melissa Corry’s Irish Chain Blog hop. Melissa has all kinds of fun things planned for this hop. Each day you will be visiting 2 different stops and I guarantee there will be so much color throughout. Did you play with Pick Up Sticks as a kid? I found them quite challenging and spent hours balancing those little buggers. 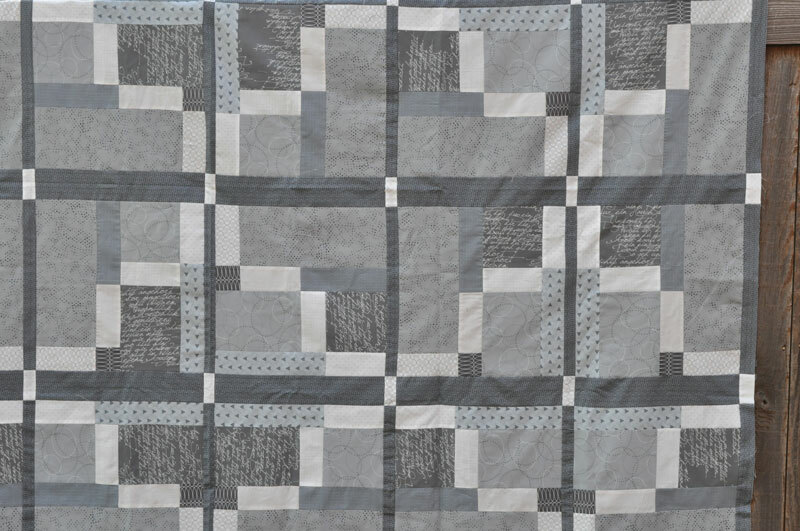 Melissa’s pick up sticks quilt is a realistic interpretation of thin colorful sticks balancing end to end throughout the quilt. Melissa used Carolyn Frielander’s collection which also gave this quilt an architectural feel. I wanted to mix mine up and started with the classic colors of Red and White but was not to happy with my choices. I kept coming back to Melissa’s version. We have all agonized over color and fabrics, right? I wanted mine to look exactly like the one I saw, Exactly. Please tell me you have done that. I did 15 jumping jacks to get my heart pumping and blood to the brain. Then I decided I would do a positive – negative version of her quilt. I still wanted an architectural, yet almost industrial look so I went with an assortment of greys and used whites as my sticks. My quilt top looks like steel buildings with reflective windows climbing the skyline. If you squint at the picture above it almost looks robotic. 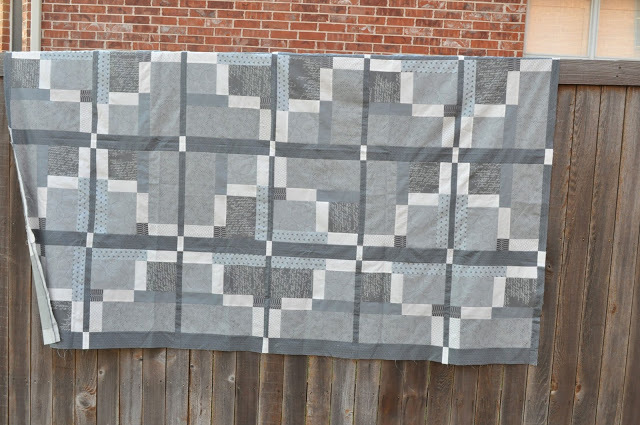 Squint again and there is a chunky plus sign shape that will be quilted as an overall design. I think this will give the quilt a sleek secondary look. 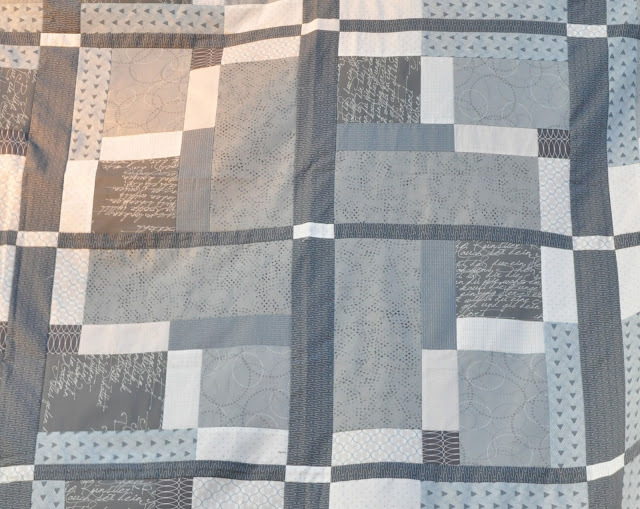 The fabrics are a combination of greys, whites and cremes from Amy Ellis and Zen Chic. 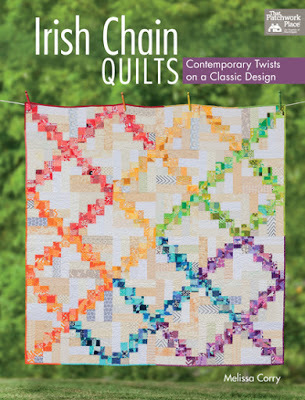 They are so perfect for a quilt for a man in your life. 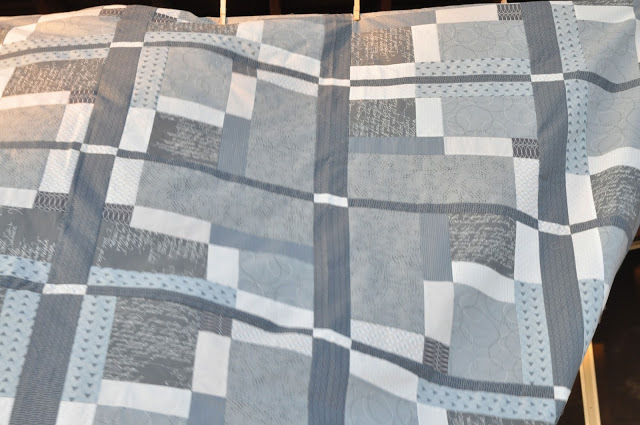 Hop on over to Fat Quarter Shop to see the quilt that Joceyln is making. Check back every day as these talented quilters each share their Irish Chain.